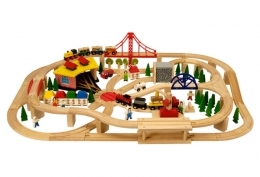 This set comprises of 130 pieces of track, buildings, bridges, houses etc. 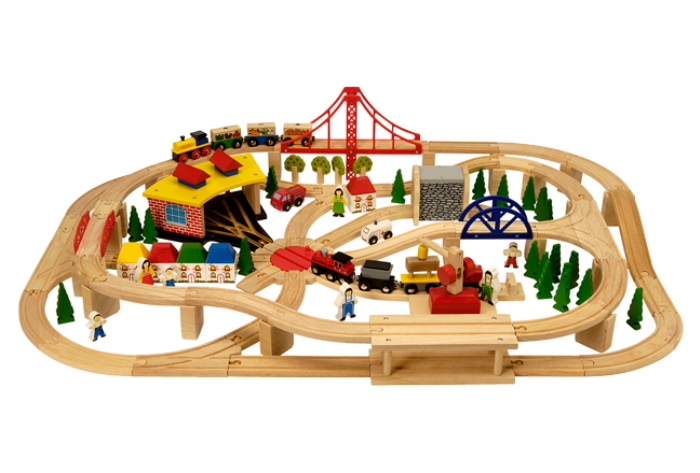 It even contains a three track engine shed and two trains of three wagons each. 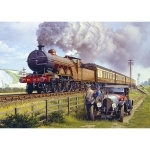 Load up the wagons and set off round the track, up and over three bridges, through the veritable forest of trees up and down again and when the train has reached its destination you can even put the engine to rest in the engine shed. Hours of fun for the young railway fan. 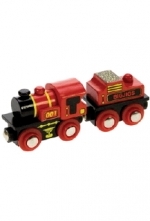 Compatable with other leading wooden rail systems and can be added to for more enjoyment.